Using your smartphone to power a VR headset is much cheaper than getting something like the HTC Vive and now Google has a new model to tempt you with. Here’s our Google Daydream View 2017 hands-on review. As with almost all new tech products, the Daydream View for this year is more expensive than its predecessor. While the original was a bit of a bargain at £69, the 2017 Daydream View is £99 and you can pre-order from the Google Store ahead of its 17 October release date. Buy this year and you’ll get £35 worth of games for free. The big question is why Google has bumped the price by almost 50 percent. There’s little to justify the price hike when it comes to design. The new Daydream View headset it almost identical to the original – read our review of the first Daydream View. You’d be forgiven for not being able to tell the difference in some sort of police line-up. There’s still a flap at the front where the phone goes that’s held in place with an elastic loop. The overall shape is the same, understandably, so the main change is a new fabric which is similar to one used on the Google Home Mini. It’s a bit more coarse so might be more durable but we think we actually prefer the original. Google says it’s more comfortable this time and that’s largely due to an additional strap that goes over the top of your head. This was our biggest complain about the design of the original. There’s also a loop on the strap to store the controller. The Daydream View 2017 is available in three colours: Fog, Charcoal and Coral. The Fog option is shown in the photos. With the same motion controller, which works pretty well, the main technical upgrade to the new Daydream View headset is the lenses. These are now ‘high-performance’, although Google doesn’t state how exactly, which results in better image clarity and a wider field of view. How much better or wider are two more things Google won’t say. We found the headset comfortable and performance relatively smooth during some hands-on time. However, we didn’t feel like there was a hugely noticeable difference from the original – perhaps we will if we test them side-by-side but that wasn’t an option and the launch event. Much of the performance is down to the phone you put in the headset and it’ll have to be Daydream compatible. The new Google Pixel 2 phones are, of course, and some other examples include the Samsung Galaxy S8, Asus ZenFone AR and Motorola Moto Z2. See a full list here. There are some new Daydream View software features such as casting what you’re seeing inside the headset to a TV so others can see what you’re doing in VR land. You can also exclusively get IMAX movies on the Pixel 2 phones. The overall issue here is that any new software features here will still work with the older Daydream View headset. We like the new Daydream View VR headset, but while it’s nice to see Google making improvements on the original we’re not convinced that the £30 price bump is warranted for slightly better lenses and an additional strap. Intel had to push the core count on its mainstream processors with Coffee Lake. This was inevitable, and frankly, would have been unthinkable had chip maker introduced yet another generation of quad-core CPUs in light of how AMD has redrawn the battle lines with Ryzen and Threadripper. The Intel Core i7-8700K leads the pack of a new generation of Coffee Lake-S desktop processors with six-cores, 12-threads and higher frequencies than any of AMD’s Ryzen 7 processors. After testing the processor for a week, the new flagship chip is everything we’ve ever wanted from Intel with stellar gaming experiences, hyper-threading performance that outpaces Ryzen and plenty of room for overclocking. Priced at $359 (about £270, AU$460), the Intel Core i7-8700K aims to take on AMD’s best Ryzen 7 processors including the $399 (£319, AU$499) 1700X and $499 (£399, AU$649) 1800X. Though this processor comes with two fewer cores than its rivals, the 8700K pulls ahead with higher base and boost frequencies of 3.7 and 4.7GHz, respectively. A hexa-core mainstream processor is a big step forward for Intel, who previously placed anything with more than four-cores within its high-end-desktop (HEDT) E- and X-series ranges. Speaking of which, Intel’s current six-core i7-7800X Skylake-X CPU might come super close in price at $379 (£349, AU$495), but those X299 motherboards come at a higher premium than the new Z370 standard. Unfortunately, if you’re thinking about moving on up to Coffee Lake-S, you’re definitely going to have to buy a new motherboard, as older the Z270 platforms don’t support latest generation’s higher power delivery demands. While we’re tallying up the extra expenses, bumping up the core count has resulted in a small price increase. The Kaby Lake processor the 8700K replaces, the Intel Core i7-7700K, was a teensy bit more affordable at $349 (£299, AU$459). Intel worked some form of black magic to squeeze 18-cores into the tiny Intel Core i9-7980XE, and some of that witchcraft has found its way into the Intel Core i7-8700K. Despite packing in two more cores than we ever saw on Kaby Lake, the processor package hasn’t grown by a single millimeter. While that’s impressive, it’s also slightly annoying that this new generation of CPUs still demands us to buy into a whole new motherboard. Furthermore, the Z370 platform isn’t really that much of a step up from Z270. You still only have support for dual-channel memory and, out of the 40 available PCIe lanes, only 16 are directly connected to the CPU. The other 24 PCIe lanes share a single DMI 3.0 connection to the CPU, which means you can only squeeze out the full potential of two graphics cards – or one GPU and two M.2 NVMe SSDs. Thankfully, Z370 does have a silver lining of adding official support for DDR4 2,666MHz memory – up from the 2,400MHz frequency seen on Z270 – and improved power delivery for some of the greatest overclocking we’ve seen on a mainstream processor. The Core i7-8700K brings Intel’s multi-core performance up to and well above the high benchmark Ryzen has set this year. This chip soundly overtook AMD’s competing Ryzen 7 1700X in Geekbench 4, with a score several thousands of points higher – by extension, this makes the previous-generation Intel Core i7-7700K’s multi-core numbers look like a joke. 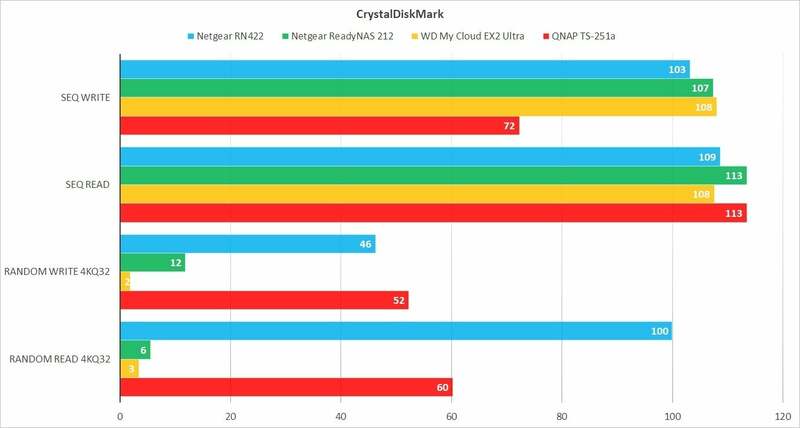 What’s even more impressive is Intel’s latest part beat the pants off its predecessor in all our single-core tests, too. All of this processing power also ends up helping the 8700K convert video as fast as some of the industry’s most overpowered CPUs, like the Intel Core i9-7980XE and AMD Ryzen Threadripper 1950X – though these aforementioned chips will still win any hyper-threading race through sheer brute force. In terms of gaming performance, by our testing, you’re not going see a huge improvement. Compared to the Intel Core i7-7700K, the shiny new hexa-core successor increased frame rates across the board, with the greatest improvement seen in titles running at Full HD and Ultra quality settings. Of course, with a core count increase comes the inevitable bump in power consumption, but we weren’t expecting the 8700K to be twice as power energy-hungry compared to its rivals. 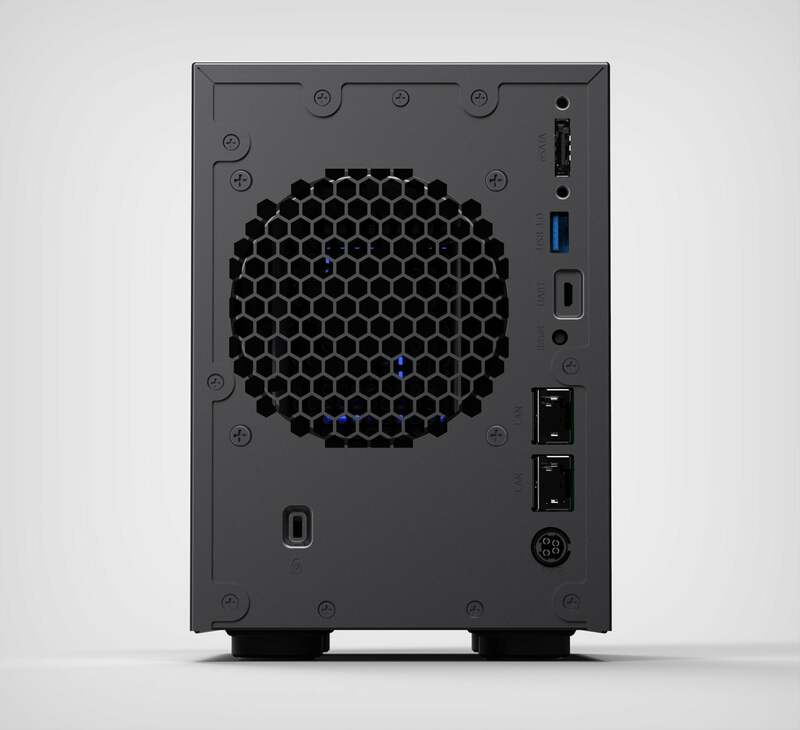 Still, at idle, the hexa-core CPU sips electricity at an average of five-watts, far less than the 12-watts the AMD 1700X gulps, so Intel hasn’t completely thrown energy efficiency out the window. On the flipside, the 8700K is more than happy to soak up extra current and push itself beyond its rated maximum 4.7GHz frequency. We easily achieved a 5.0GHz frequency across all the cores just by giving the processor an extra 0.02 volts of juice, and only saw the maximum temperature jump to 85-degrees Celsius and 152.84 watts of power consumption. Another extra dab of juice allowed us to further clock up the Intel Core i7-8700K to 5.1GHz across all cores without significantly detrimental effects. Pushing the six-cores to 5.2GHz unfortunately proved to be too unstable to even get Windows 10 to load properly. While this might seem disappointingly short from the 8700K’s maximum speed of 4.7GHz, we’re impressed with how little extra heat and power demands overclocking created. Overall, the Intel 8700K stayed relatively cool, maxing out at only 76-degrees Celsius while operating normally and comfortably seated under a Thermaltake triple-radiator as its cooling blanket. The only time it got a little hot under the covers was when we overclocked the CPU to the aforementioned 5.1GHz, wherein it reached a peak temperature of 87-degrees Celsius. Intel Core i7-8700K proves Team Blue is still the top dog in the processor world. Coffee Lake is a clear improvement over Kaby Lake with impressively higher single-core and multi-core numbers, and ever-so-slightly better gaming performance. What’s more, the staggering hyper-threading performance puts it well above AMD’s octo-core Ryzen processors and even into the realm of some high-end desktop (HEDT) parts. The Intel 8700K gets a little hotter and more power hungry than we would like, but that was somewhat expected with the bump up in cores. What we didn’t expect as a pleasant surprise was the ease of overclocking the processor to 5.1GHz, not to mention the relatively low-impact of doing so. The toughest pill to swallow out of all of this is having to get a new motherboard to even use Coffee Lake-S. But, if you’re willing to spend the money to upgrade both components, the Intel Core i7-8700K is the best mainstream processor on the market, and it comes with all the bragging rights of having the highest benchmark numbers in its class. Also on hand is Milestone Arcus Surveillance with two camera licenses, so you can cover the front yard as well as the back. Additional licenses are available at $60 each, 4 for $200, or 8 for $360. That’s not cheap, but it’s pretty much par for the course (for business-class NVR—network video recording—that is). Most users should be able to cope with only the two free licenses. While you might consider it unfair to list the built-in GPU last – almost as a side note – virtually everyone who chooses an 8700K will pair it with a separate graphics card and most likely something high end. The Intel UHD 630 Graphics is essentially identical to the GPU found in Kaby Lake processors. Although it can handle some games without dipping below 30fps, you’ll most likely be running at 720p or with the quality settings turned down. It’s fine if you’ve got a Core i3 – or possibly even i5 – but it doesn’t really cut it in a high-end chip like this. Intel’s Core 2 Quad processors debuted with four cores in 2006. Although six-core models landed four years later in the high-end desktop space, the company’s most accessible chips topped out in quad-core configurations for more than a decade. The Coffee Lake era begins with Intel upending its mainstream line-up by adding two more cores to Core i7, i5, and i3 families. Call this a much-needed improvement, cleverly timed to stave off AMD’s core-laden Ryzen assault. Of course, while Intel’s accelerated Coffee Lake-S launch makes it look today’s unveiling is a direct response to heated competition, in reality, the long incubation period for new processors means it’s more likely the result of 10nm manufacturing delays. Just last year, Intel announced a new process-architecture-optimize cadence designed to deliver smaller transistors every third generation. That’s a profound departure from the glory days of Intel’s tick-tock model. The latest 14nm++ process is the fourth outing of the 14nm node, which originally debuted with Broadwell back in 2014. So, it appears that PAO is already falling by the wayside. In the days of tick-tock, we’d also be talking about a new architecture right now. But Coffee Lake employs the same Skylake design as Kaby Lake before it. We also get the same fundamental integrated graphics engine found in the previous generation. To be sure, Coffee Lake is another iterative update. But there’s nothing mundane about adding more cores. Intel claims Coffee Lake offers up to 25% more gaming performance and up to 45% more “mega-tasking” performance. Given similar price points versus Kaby Lake, we’re almost certainly looking at a huge step forward in value. This is obviously a busy year for Intel. But as if the company’s product stack wasn’t already confusing, its eighth-generation portfolio draws from three separate architectures, including 14nm+ Kaby Lake-R (refresh), 14nm++ Coffee Lake, and 10nm Cannon Lake, which should land next year. Core i7-8700K serves as this generation’s flagship, sporting six Hyper-Threaded cores. Already, that’s a big increase from Kaby Lake’s 4C/8T maximum. It features the company’s highest clock rates, accelerating up to 4.7 GHz via Turbo Boost. The -8700K does sacrifice some base frequency in exchange for a higher core count, though. Its 3.7 GHz specification is 500 MHz lower than the -7700K, offsetting the increased power consumption and heat generated by a 6C/12T configuration. The -8700K’s Coffee Lake design utilizes a 14nm++ process, which Intel claims offers 26% more performance and 52% less leakage power than first-generation 14nm manufacturing. Those advances enable the higher Turbo Boost bins and reduce consumption enough to carve out room for extra cores. A more complex die does necessitate a TDP rating of up to 95W. But that’s only 4% higher than Core i7-7700K. And as we’ve seen before, Turbo Boost allows the CPU to operate beyond its rated TDP as long as current, power, and temperature fall below specified limits. As you might imagine, then, the impact of two additional cores is felt under load. The top 4.7 GHz Turbo Boost bin should help improve performance in lightly-threaded applications. But Core i7-8700K also includes aggressive multi-core bins to help chew through threaded workloads. Because these CPUs employ Intel’s Skylake architecture, we aren’t expecting any speed-ups attributable to IPC throughput. All gains come from core count and clock rate alone. Intel isn’t officially disclosing a die size or transistor count, but early delidding efforts indicate a ~151mm2 area. That’s naturally larger than Kaby Lake’s ~122mm2, reflecting the additional execution and cache resources. Intel confirms that Coffee Lake continues to employ its ring bus, rather than Skylake-X’s mesh topology. Intel also adds 50% more cores to its Core i5 family, and doubles Core i3’s core count. But it pulls Hyper-Threading support from Core i3 in the process. Nevertheless, we expect gamers to realize palpable gains moving from dual-core Hyper-Threaded platforms to inexpensive quad-core setups. Core i5 and i7 also support speedier DDR4-2666 transfer rates, up from Kaby Lake’s DDR4-2400 spec. Core i3 remains limited to DDR4-2400, though. This could just be Intel’s attempt to segment its line-up, or perhaps the Core i3s are really just quad-core Kaby Lake designs transplanted onto a 14nm++ process. Unfortunately, Intel still doesn’t enable Turbo Boost on its Core i3 CPUs. So, we could see a performance dip in lightly threaded workloads due to Coffee Lake’s lower base frequencies. You do get 100% more cores in exchange, though. Physical cores are always preferable to logical ones, so the new implementation of Core i3 should come out ahead in most of our benchmarks. PCIe connectivity remains unchanged; you get 16 lanes of third-gen PCIe from the CPU’s controller. Intel reminds us, though, that it offers up to 40 lanes when we add the platform controller hub’s 24. You’ll need a Z370-based motherboard for Coffee Lake processors. The 200-series chipsets are not compatible. And in a clear indication that Intel really hurried its launch schedule, less expensive B- or H-series chipsets won’t be ready until next year. Paying a premium for Z-class core logic isn’t much of a surprise for enthusiasts, who need the higher-end chipset to support unlocked multipliers. But it’s a little bit overkill for everyone else. We’re using Intel’s 1K unit pricing for comparisons to the Kaby Lake models and AMD’s MSRP for price-equivalent Ryzen chips. We may see higher prices on Intel’s CPUs at retail, while AMD models routinely sell below MSRP. Overclocking headroom was one of Kaby Lake’s biggest advantages due to Ryzen’s limited scaling. Intel adds per-core overclocking support to this generation, but doesn’t provide per-core voltage and P-state controls. It also enables live memory timing adjustments (without rebooting), along with memory multipliers up to 8400 MT/s, so you don’t have to adjust the BCLK frequency to chase bleeding-edge transfer rates. Finally, enhanced GT and Ring PLL Trim controls add more granular control. Intel makes some power optimizations to its interface that promise to extend the advantage while overclocking. However, the company continues to insist on using thermal paste between its die and IHS, rather than solder. Like all unlocked Intel models, the Core i7-8700K doesn’t include a stock cooler. Nevertheless, we have to give the big company credit for staying on its toes this year. 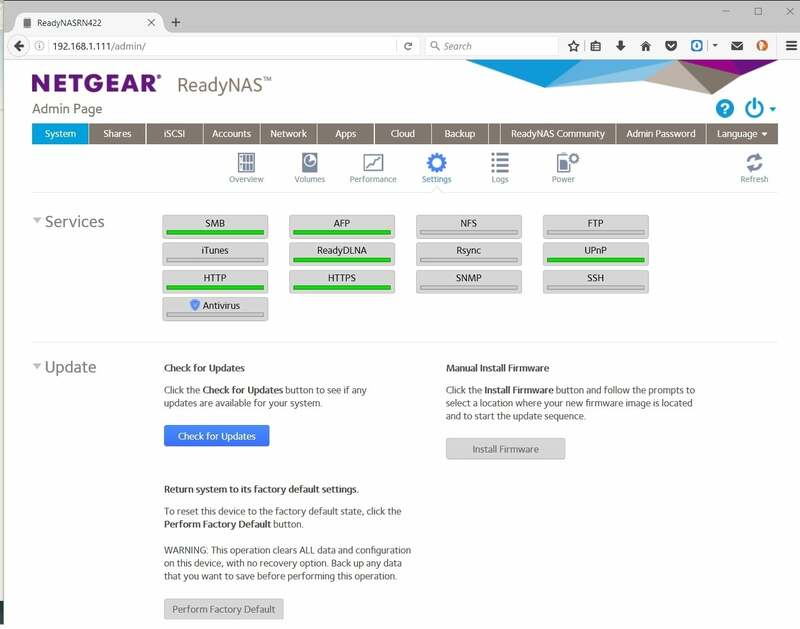 It already introduced Kaby Lake, Skylake-X, and Kaby Lake-Refresh. Next year, we’ll have new Pentium and Celeron line-ups headed our way. But for now, we’re looking forward to testing what Intel claims is its best gaming chip yet. The new Google Clips camera decides for itself when to take videos, and can recognise people. Two years ago Spotify introduced Discovery Weekly, a playlist compiled every Monday with two-hours of personalized music tailored specifically to a user’s musical taste. Similar to the makeup of Discover Weekly, Time Capsule analyses a Spotify member’s music preferences and age, then pulls 30 iconic hits from their teens and early 20s. This nostalgic twist on Spotify’s hit music discovery algorithm is accessible in three different ways. Once logged into your Spotify account, the simplest way to find your Time Capsule is simply to search ‘Time Capsule’ in the search bar. You can also find your Time Capsule playlist in the ‘Decades’ section. Time Capsule doesn’t appear outright, like some of the other customisable playlists. Lastly, if you’re using the browser version of spotify, you may access your Time Capsule by visiting https://timecapsule.spotify.com. If you are currently a teenager or haven’t been a Spotify member for at least two weeks, this new feature is unfortunately unavailable to you. Two weeks gives Spotify enough time to analyse your music preferences and generate a collection of throwback hits that they think you’ll enjoy. The longer you’ve been a Spotify user, the better the app is able to create a playlist to your liking. According to Spotify, 15 years and below doesn’t offer a large enough time period to cultivate a playlist categorised as “teen” or “early 20s”. The music would not be considered a throwback, in Spotify’s opinion. Though you’ll be out of luck for the Time Capsule feature for a few years, you can continue streaming millions of tracks and discover new music with the Discover Weekly playlist.